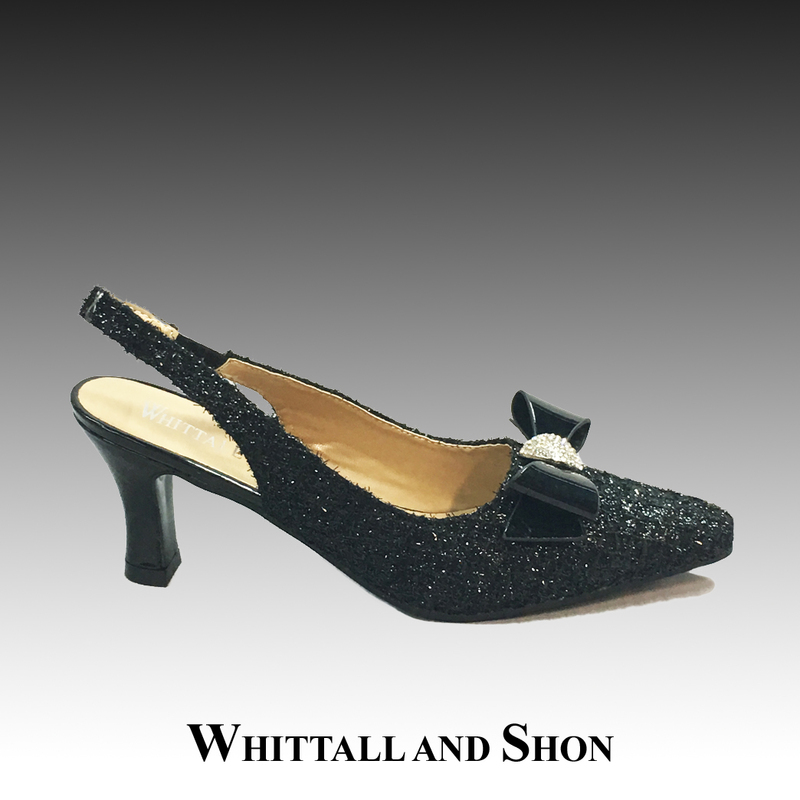 Shimmer tweed fabric slingback with patent heel, bow and crystal almond. 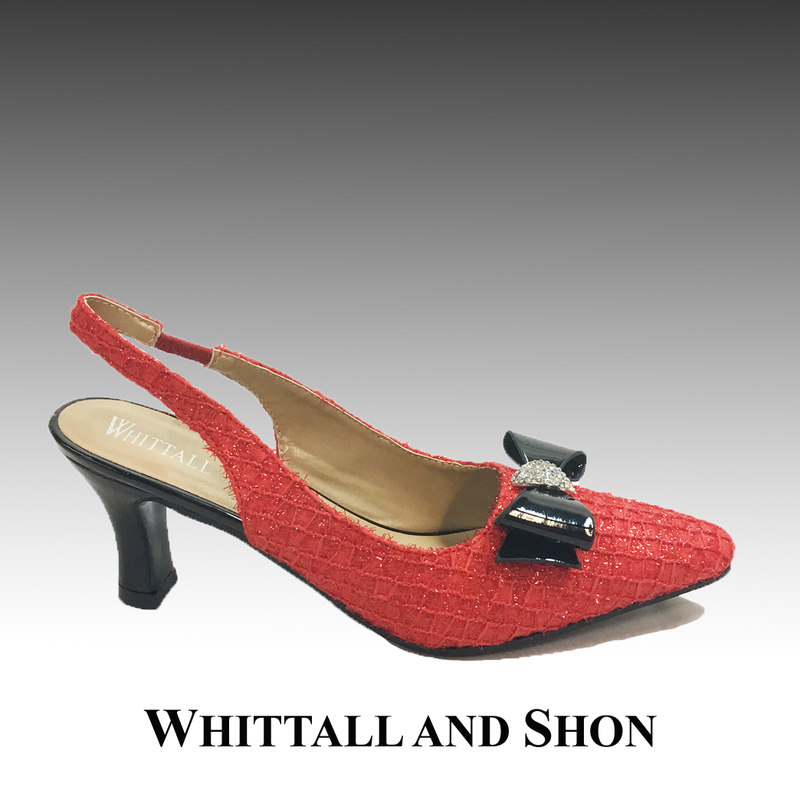 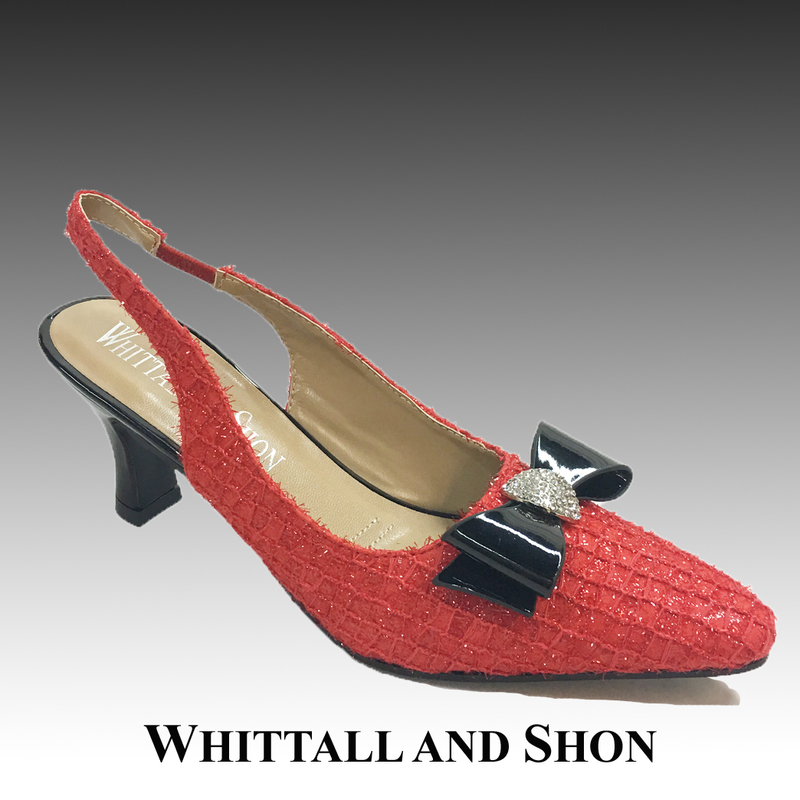 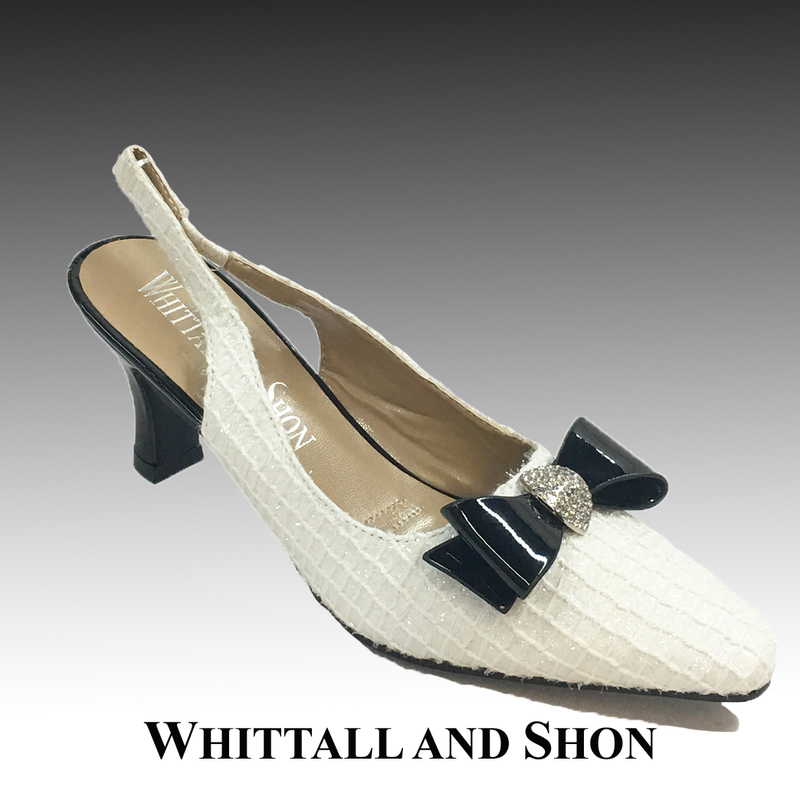 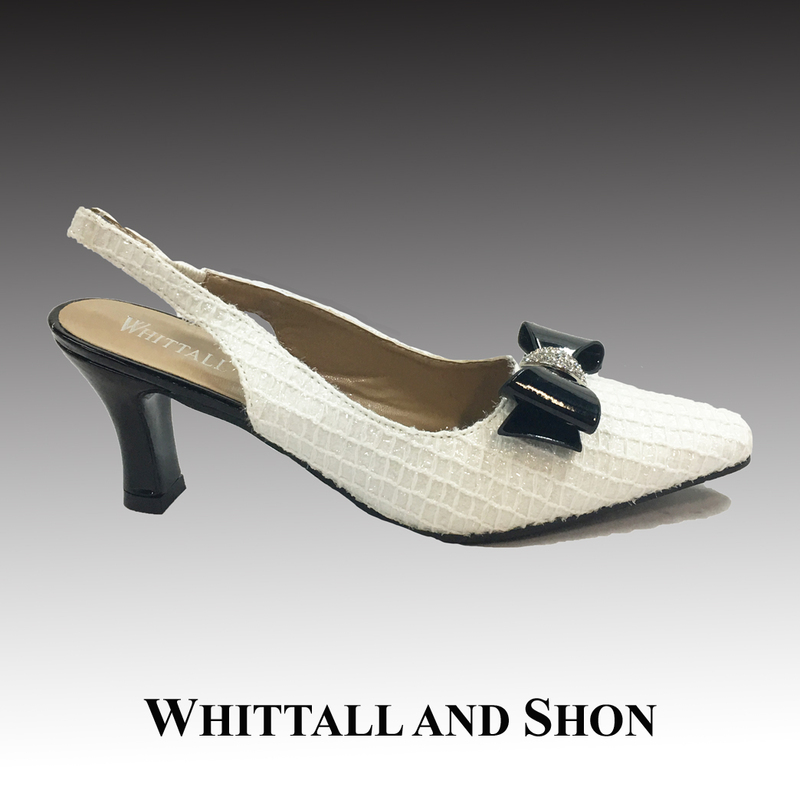 A true ladies shoe, this elegant sling back with it’s 2.5″ heel, recalls timeless elegance. 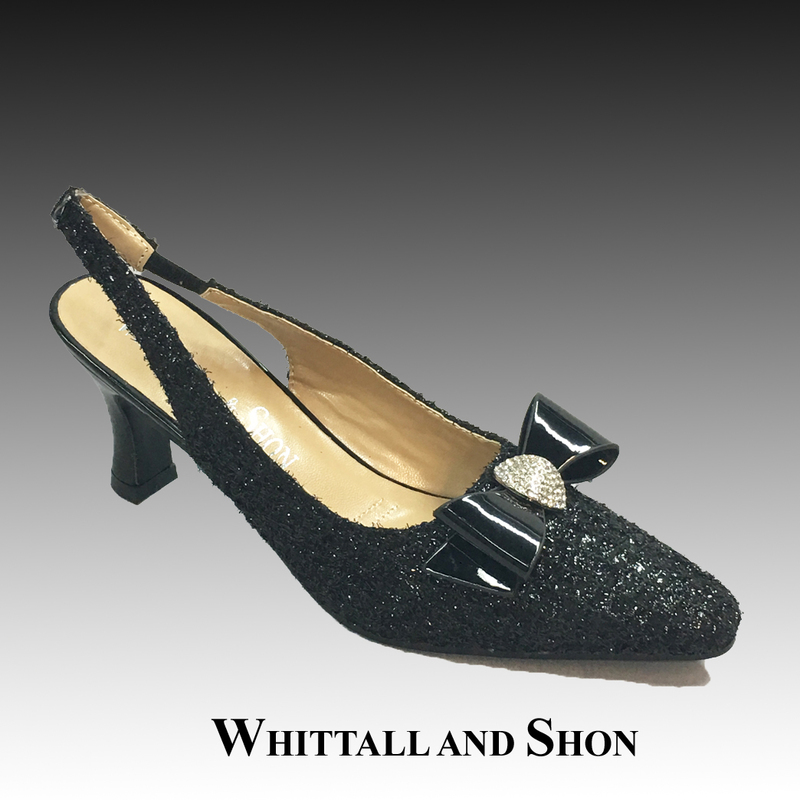 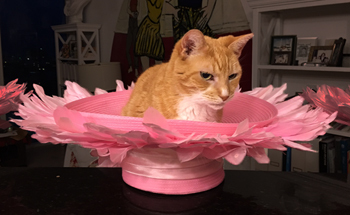 The novelty fabric is spun with shots of shimmery thread – just enough to catch the eye. 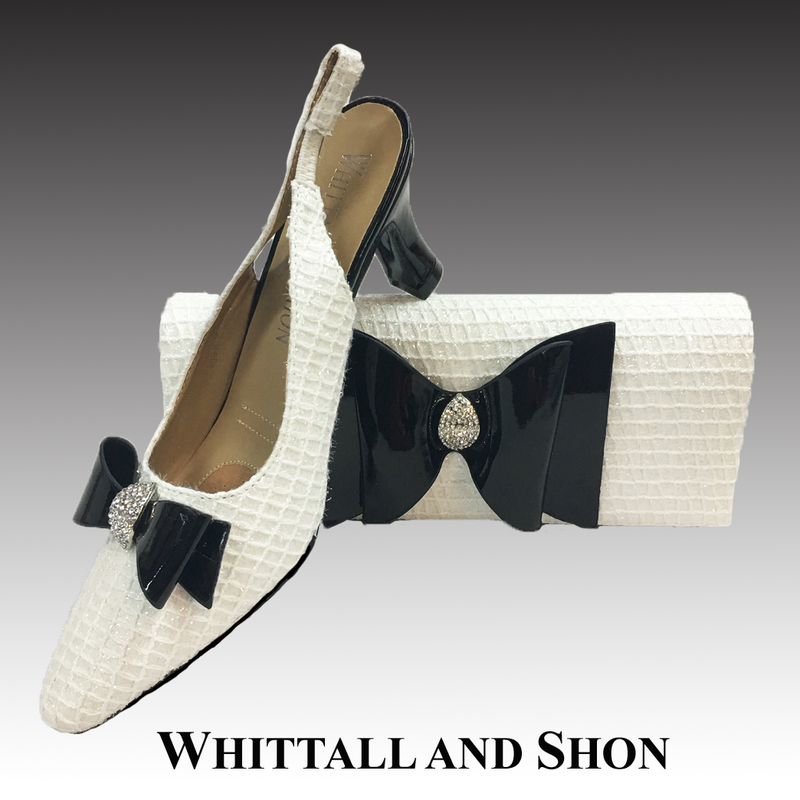 Matching purse is P135.